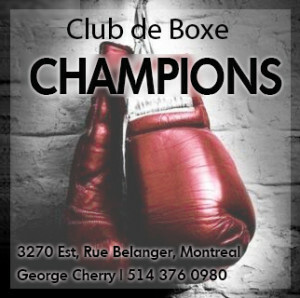 There is only one way to become a truly great boxer and that is to compete against other truly great boxers. Back in the day, if one was near the top of the heap, this was a simpler task to undertake than it is now. That’s because, simply put, there were more great fighters around. There was also a constant demand for fistic entertainment with fight cards happening on at least a weekly basis in pretty much every major American city. Unlike today, the best fought the best on a frequent basis, which meant the pretenders were separated from the contenders pretty damn fast and, one way or another, the cream always rose to the top. 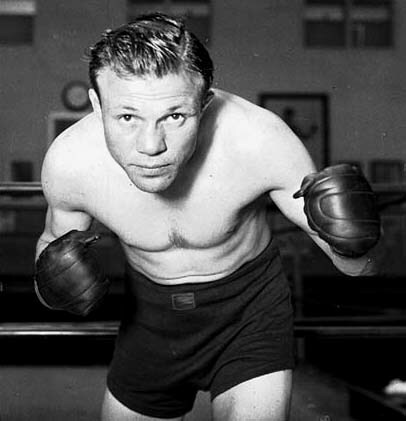 The point being that Lou Ambers, who campaigned during the ultra-competitive 1930’s, is an all-time great lightweight boxer. This is not up for debate; it’s a fact. 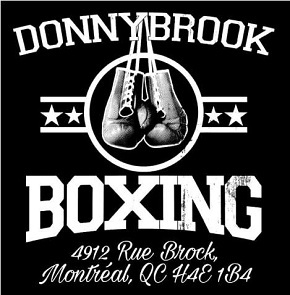 And the reasons why we know it’s a fact are easy to name: Tony Canzoneri, Baby Arizmendi, Frankie Klick, Fritzie Zivic, and Al “Bummy” Davis. We could add in Sammy Fuller and Johnny Jadick too if we want, but those five names are really enough. 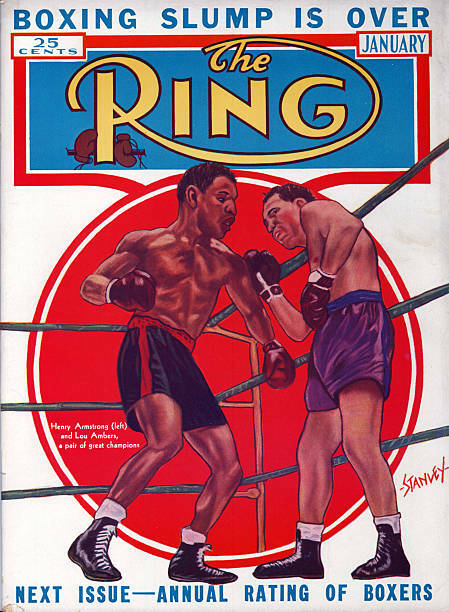 The other name to add of course is Henry Armstrong. And the key point is this: as great as Ambers was, Armstrong was greater. And he proved it on a hot August night in Madison Square Garden, in the process becoming the first and only prizefighter in the whole long history of the fight game to hold three divisional world titles at the same time. And yet, strangely enough, at the end of 15 rounds of all-out warfare, Armstrong’s stupendous and historic achievement was not the story of the night. But more about that in a minute. So we are talking about greatness. And a night when two great warriors struggled against each other for the undisputed lightweight championship of the world. 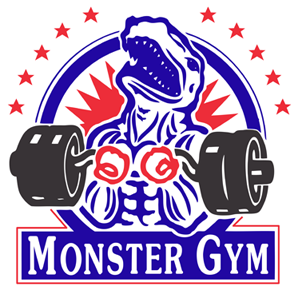 This was in 1938, and it’s important to remember that at this time the Great Depression was still on, which meant the fight gyms in every major American city — and there were a lot of fight gyms back then — were full to bursting with desperate young men looking to become champions, or at least earn some decent cash for slinging leather. There were only eight weight divisions; there was only one world title for each division. Bottom line: the competition was beyond fierce and only the very best could crack the Top 10, let alone challenge for the top of the mountain. Henry and Lou hype the big fight. Armstrong was already carrying not one but two world title belts into the ring with him that night. 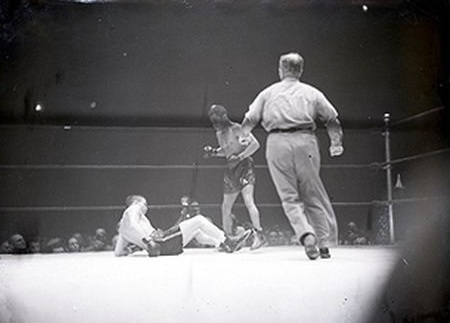 The previous October, after completely decimating the featherweight ranks over the course of six years, Henry won the 126 pound title by sixth round knockout over Petey Sarron. 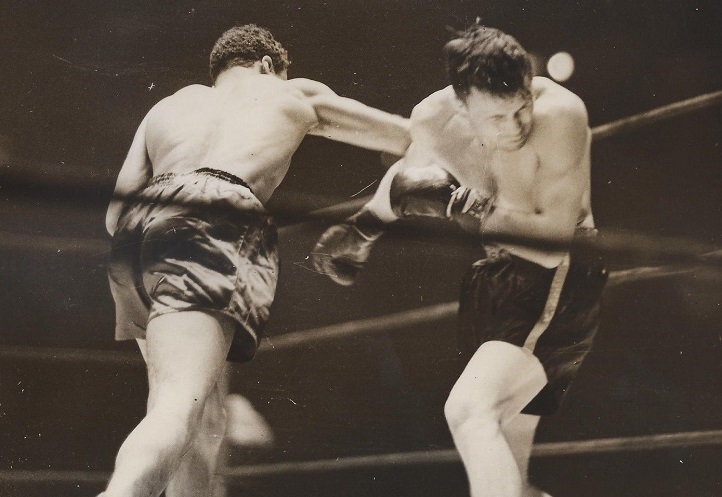 After another 14 wins, Armstrong challenged Barney Ross for the welterweight title, battering the popular but aging champion over the course of 15 one-sided rounds. From the opening bell, it was a war. 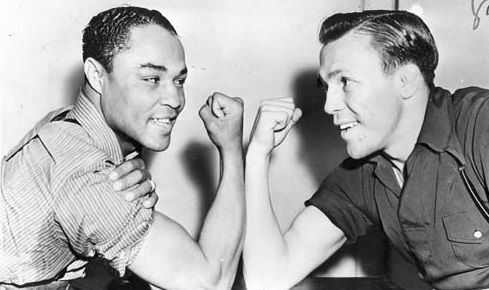 Yes, Ross and Tony Canzoneri had done so, but only if one counted the so-called “junior” weight divisions as being on par with the regular ones and even then, they had not held the championships simultaneously. 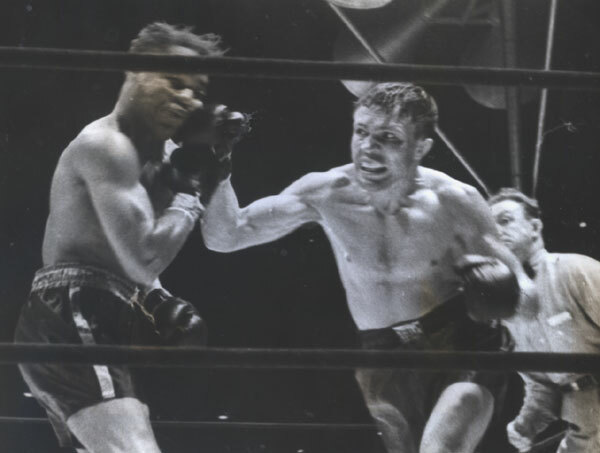 The great Bob Fitzsimmons had won the middleweight, light heavyweight and heavyweight titles in succession; otherwise, no one had ever threatened to do what Armstrong was now setting himself to attempt. 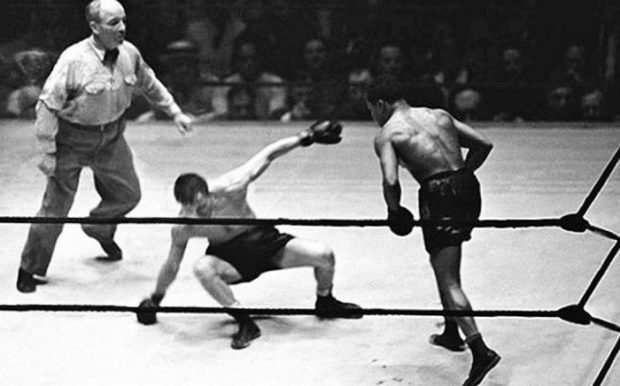 The featherweight and welterweight championships were his; a win over Ambers would mean he also held the lightweight crown at the same time, thus making him one of the greatest boxers who had ever lived. 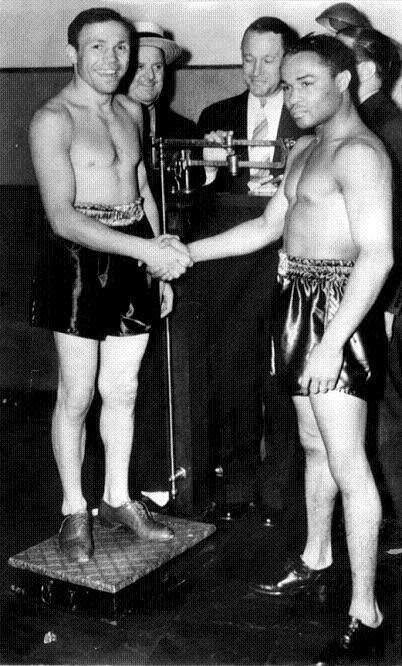 But now we circle back to the question of greatness and we recall that while Sarron and Ross represented formidable opponents, the former was a solid underdog and the latter was well past his best days. Ambers was a different story. 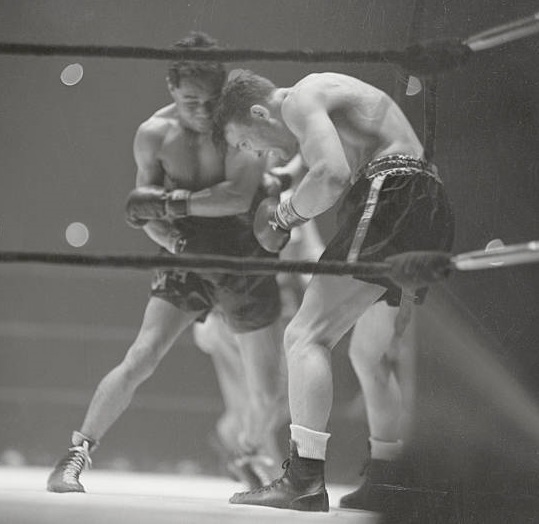 Young, game and in his prime, the champion had more than proven his mettle with wins over Tony Canzoneri, Jimmy Vaughn, Baby Arizmendi and Pedro Montanez. Bottom line: Ambers was great and he was going to do all he could to test the greatness of Armstrong. That he did and thus the first Armstrong vs Ambers clash was a 15 round classic, one of the truly great battles in ring history. The early rounds saw Armstrong the aggressor and setting a wicked pace, out-working Ambers, his whirling, non-stop attack setting the terms. The champion battled back, but couldn’t quite match the furious, frenzied, two-fisted assault of “Hurricane Hank.” Just before the end of round five a powerful right to the jaw put Ambers down but the bell saved him from having to beat the count. Round six saw Armstrong in command and administering a heavy battering and another big right hand put Ambers down again, this time for a count of eight. When Lou rose Henry was all over him, pressuring relentlessly and pounding home vicious shots to the body. The Herkimer Hurricane came on strong in the late going. 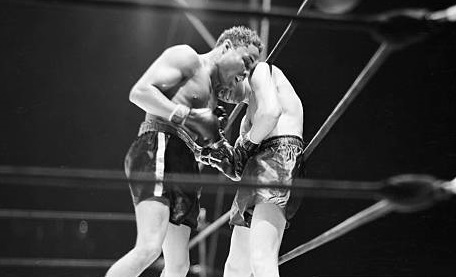 When the bell rang for round eleven Armstrong told his corner not to put in his mouthpiece and for the next five rounds he swallowed his own blood as pursued Ambers and pounded away, but in round 13 it was the champion who dug in and gave more than he got, finally blunting Henry’s attack with his own offensive output and sparking a late round rally that thrilled the crowd. It was not enough to change the outcome, but at the final bell it was Armstrong, not Ambers, who, dazed and exhausted, stumbled to his corner. The final decision was close but primarily because Cavanagh had taken three rounds from Armstrong for low blows. But you couldn’t tell that to many in the Garden crowd that night. When the verdict was announced the rafters of the Garden shook from the roar of an angry crowd, the spectators booing the decision and showering the ring with garbage. The fans had been inspired by the courage of Ambers and his heroic late rally and instead of applauding Armstrong, the new triple crown king, for his astonishing achievement, they decried what they saw as an unjust outcome. 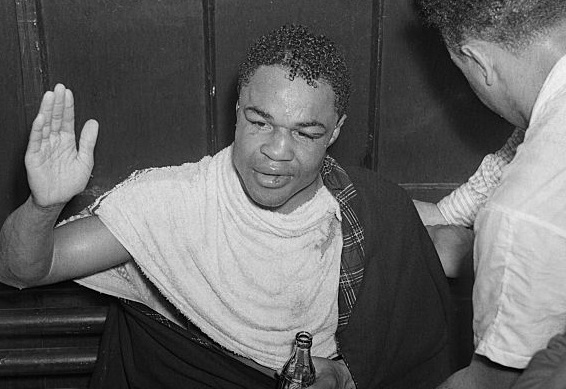 An exhausted but happy Armstrong in his dressing room after the fight. One of the great and legendary fights in boxing history.